For any business it is important to build up brand awareness, and there are few better ways to do it than publishing videos on social media. Videos tend to have a wider reach than other types of content and are more engaging, and on social media that can have a ripple effect that gives them more exposure still. One of the highly effective ways to build awareness about your brand and its products are by using explainer videos. Essentially these are short and entertaining videos that are designed to introduce a product (or service) and explain what it does and how it could help viewers. Explainer videos normally do well on social media, provided they are entertaining enough. In recent years animation has often been used to create these videos due to is whimsical nature. Compared to conventional videos, live videos have an even greater reach and are far more engaging – making them the perfect way to build brand awareness. In fact because viewers prefer them to look authentic, you can even make them directly about your brand – such as live workplace tours, impromptu employee interviews or reactions, behind the scenes ‘peeks’ and so on. Other types of live videos that are often good at building brand awareness as well include webinars, Q&A sessions, or discussion panels. Both these types of videos can create brand awareness, but are positioned slightly different. With a product demonstration you’ll essentially be explaining a product and showing viewers how each of its features work. Whereas with a guide you’ll be focusing on a problem viewers may have, and indirectly showing them how the product can solve it. Generally viewers tend to prefer guides as they are (or should be) far less promotional. However demonstrations can be effective as well a bit further along in your marketing strategy. With all of the types of videos listed above, you should be able to reach out and engage viewers on social media, while introducing your brand to them – directly or indirectly. Keep in mind being direct is not necessarily a ‘better’ approach, as sometimes indirectly showing viewers what your brand is all about can be just as effective and memorable. Of course it is important that your videos project a good image – as they’ll be representing your brand. 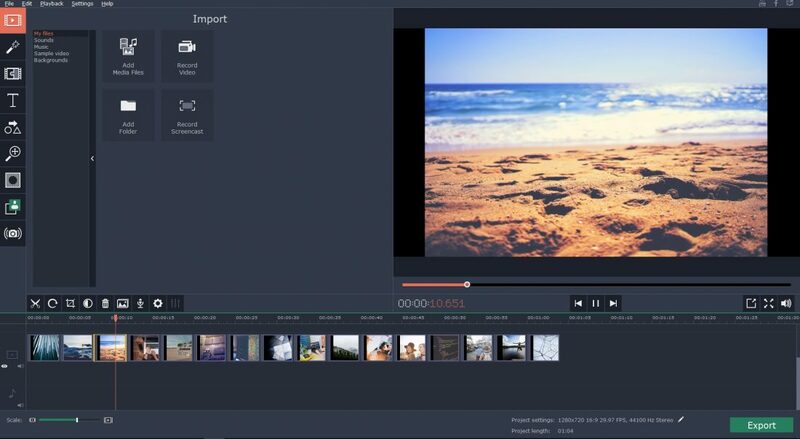 If necessary you should edit and tidy up the videos in preparation, and for example you could use Movavi Video Editor to rotate video, crop, or adjust it in other ways. By creating the right videos and ensuring they get lots of exposure, you should be able to enjoy the benefits that come with a good brand awareness. It can have a positive ripple effect that ends up helping your business on more than one front.